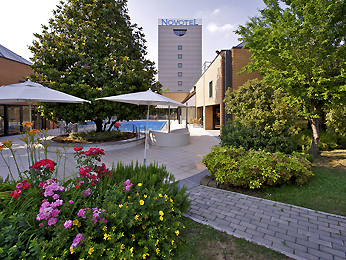 Whether your stay is for business or leisure, the Novotel Milano Linate Aeroporto hotel offers modern essentials, comfort and hospitality. The 4-star hotel is easy to reach from the airport via a convenient shuttle service and is only a few minutes’ awayon public transport from Milan’s cultural attractions and shopping streets. Fully equipped meeting rooms and relaxation areas are available so the whole family, including your four-legged friends, can have a comfortable stay. It’s a lot better at Novotel.